If the ultrasonic range finder indicates that it has an "RS232 Serial Output" and is outputting an inverting signal with the voltage level based on Vcc, you could just use an inverting circuit using a transistor to invert the signal. This is not a standard RS232 that uses +/-12V. There are a few methods of flipping this signal through hardware or software. The resources and going further will provide specific examples. Doing a quick test using a retired NPN transistor from our storefront, I was able to get it working based on the circuit using a RedBoard Programmed with Arduino. I was using an Arduino so Vcc in my circuit was 5V. Since it's basically two diodes within the transistor, you will want to use resistors to limit the current. I just used two 330Ohm resistors just like I was turning on an LED. You probably do not need to do this but the values might need to be adjusted when using it at higher speeds or if the transistor is not fully turning ON/OFF. Testing with a multimeter, it worked as expected. An input of 5V would result in 0V (logic LOW) on the output since the transistor was turning on. With an input of 0V, the transistor would not be conducting so the output would be held HIGH at 5V. Using an Arduino serial passthrough for further testing, I was able to view the ultrasonic sensor's output data without any problems. Otherwise, you could be clever in writing your code to store the value and possibly apply some sort of logical NOT operation. In Arduino, there is a special feature using software serial that inverts the signal by setting a parameter to true [ "Software Serial Constructor" – https://www.arduino.cc/en/Reference/SoftwareSerialConstructor ]. There was someone in the Arduino forums that provided example code to invert the output, parse the data, and output it through the serial monitor here => [ User "Goldthing" - http://forum.arduino.cc/index.php?topic=114808.msg864009#msg864009 ]. 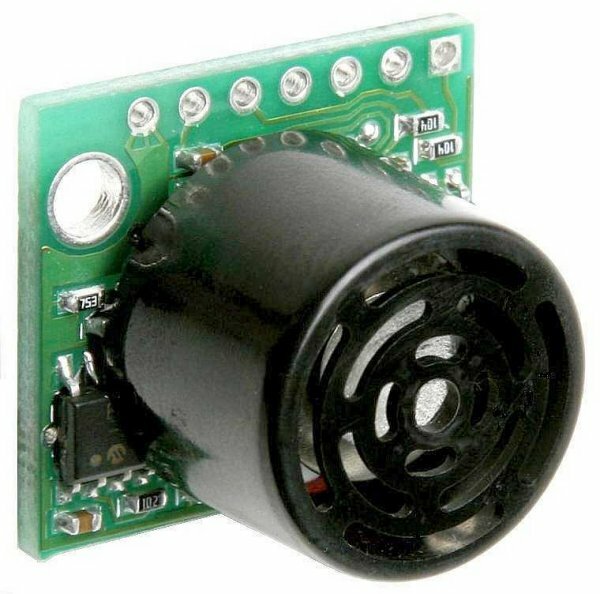 There is a tutorial from MaxBotix that shows you how to connect ultrasonic sensors to Raspberry Pis => [ http://www.maxbotix.com/Raspberry-Pi-with-Ultrasonic-Sensors-144/ ]. 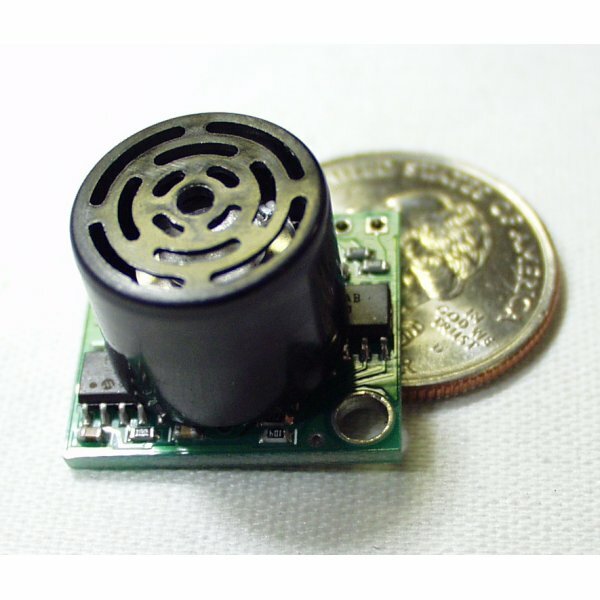 Certain ultrasonic sensors listed in the article require an inverter. If the ultrasonic range finder's output serial output is " RS232 " like the sensors listed under "Ultrasonic Sensors that Require an Inverter" , this indicates that the signal is basically an inverted output with the voltage level based on Vcc. Therefore, you would need to follow the tutorial and use a serial inverter in order to use it with the Raspberry Pi. If you are using a Raspberry Pi a transistor, Vcc should be 3.3V since the Pi uses a 3.3V system. Does this reflect offor of water? Measure height of water in a container? This sensor has 1 inch resolution between 6" and 254". Any distance less than 6" will return 6" according to the datasheet and testing I have done. Is the beam too wide to use in a sight glass? Basically, will it work in a tube less than 2 inches wide? What are we configuring or reading wrong? Answer: Figured it out! Arduino analog ranges from 0 to 1023. I will need to account for that! Would this be applicable to an autonomous plane, where this would be mounted facing to the side, and it would sense the presence of a wall? What I mean is, would the speed of a hobby airplane be too high for the signal receiver to work properly? Can I use this device to just send or just receive an ultrasonic wave ? I don't need the built-in ranging capabilities, but I do need to do both the transmission and the detection of ultrasonic waves at separate times for my project. Just a note that may save some time: the TLL-level "RS232" output is inverted wrt RS232 TX. It's '0' non-active, and '1' active. This is the worst range finding sensor I've ever worked with. Sitting stationary in my garage it will read 110 inches, then 20 inches, then 40, then 110 with nothing around it moving. It's pointed at a wall and should have no trouble finding the distance. I've tried it both with the analog and pwm output, and they both are equally noisy. There's not enough consistency to it to even do some signal conditioning and get a useful value. I know it's a wide band it detects, but when pointed at a wall 9' away I should be able to get a reading of 9' consistent enough to detect if there's anything between it and the wall when nothing else around it is moving. This seems very out of character for this product, which has historically been rock solid. I would suggest contacting our tech support team, they should be able to help get this issue resolved for you.